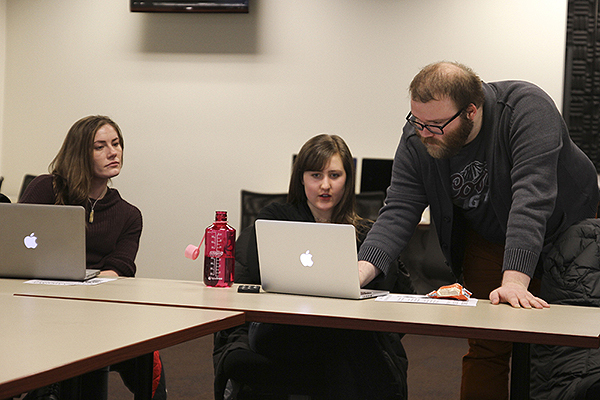 Chicago Tribune News Applications Developer Andy Boyle led a coding workshop on Jan. 17 for current and former SPJ/ONA DePaul members. The event came just a few weeks after SPJ DePaul reorganized as SPJ/ONA DePaul in an effort to combine traditional journalism with digital innovation. Boyle kicked off his presentation by encouraging the group to embrace the learning process and ask questions throughout the workshop. The afternoon ended with sandwiches and a tour of Boyle’s coding experiments, which included funny sites he built in his spare time. 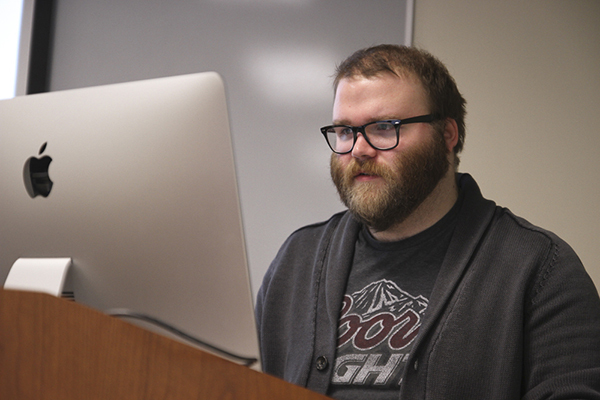 Boyle took questions from workshop attendees as well, highlighting the importance of web programming and news applications in media organizations.